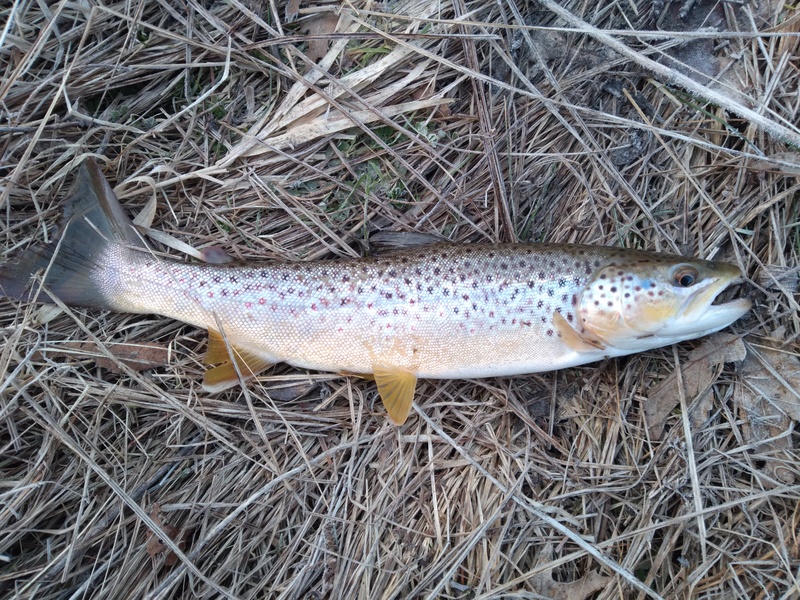 Biography & Thoughts Began fly fishing for trout in 1985 in the Maple River in northern lower Michigan, and warmwater fly fishing the very next year in my home town lake (Sylvan Glen, Troy, MI). I began tying my own flies in 1990 and have never fished with a fly I did not tie myself ever since. Native Michigander, born, raised, educated (BS botany, U of M; MS entomology, MSU), and living here until further notice. Currently living in Oscoda, on the edge of the Huron National Forest and ten minutes walk from the lower Au Sable River. I have also lived, and fly fished, in Missouri, Oregon, Georgia, and Texas. My favorite fly fishing is with dry flies for trout, panfish, and bass, and also streamer fishing for the same. I created a pattern of my own, called the "Killer Bass Fly", with which I have caught the two largest bass of my life on ANY tackle, amongst thousands of other warmwater species. I personally think if you are limiting your fly fishing only to trout, you are truly missing out on some serious fun. I also believe in fishing primarily local waters, relying on your own skills and experience, and spending as little on tackle and equipment as necessary (I don't make a lot of money and I have lots of other hobbies - see below). I am a field biologist and environmental consultant by trade. My specialties are botany, entomology, wetlands, stream ecology, threatened and endangered species, herpetology, fisheries, and habitat mapping and evaluation. Other hobby interests include amateur astronomy, forest ecology, kayaking, cross-country skiing, mountain biking, aquarium keeping, geology, snorkeling, shooting, and military history. I have a strong conservation ethic and I am a compulsive recycler. I am a lover of all animals and I currently have one calico cat. I am a vegetarian cook. And I am a bachelor by choice!